The United States is on a non-stop track as one of the world’s largest consumers of energy and producers of waste, and it’s been this way since the Industrial Revolution. Americans live an ostentatious and generally affluent lifestyle; purchasing new items every time something else is released on the market, and following the flow of what’s ‘trendy’ and ‘popular.’ Though this may seem to be a suitable way to live for many, not everyone on planet Earth can live this way, for if every person on Earth lived the life of the average American, then Earth’s resources would be quickly and completely exploited and humanity would no longer be able to be sustained. Even without the rest of the world consuming and using the Earth and its resources like many Americans, it seems that, within the next century, many of the resources used now on a daily basis will be run dry and gone forever. In terms of the consumption of energy resources, the United States is second to first in consuming the most nonrenewable resources on the planet; the first is China. The most common nonrenewable resources used by the US are fossil fuels, including petroleum and coal, as well as natural gas. All of these sources of energy release greenhouse gases into the Earth’s atmosphere during multiple phases of their lifespan and usage, which is leading to permanent changes to the planet, such as the ‘greenhouse effect’ and climate change. The greenhouse effect is the phenomenon of greenhouse gases, like carbon dioxide and methane, entering the atmosphere and creating a blanket that, when the sun’s radiation waves enter the Earth, prevent the waves from escaping the atmosphere and going back into space. Instead, this blanket of greenhouse gases keeps the waves trapped in the Earth, warming the Earth’s climate. 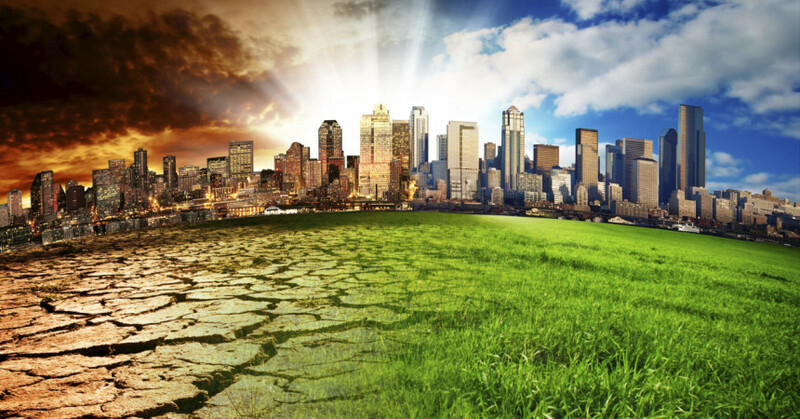 Climate change covers the idea of the greenhouse effect, as well as other occurrences like desertification, melting ice caps, and sea level rise. Currently in the United States, more than 27 percent of the energy consumed goes towards transportation. Unlike many other countries, such as France and Japan, the United States doesn’t rely heavily on the use of public transit, but rather people in the US prefer to own their individual vehicles. On average, 9 out of 10 Americans own a car, which makes America the number one country in car ownership in the world. Powering these automobiles takes a large amount of petroleum, or oil, which almost 72 percent of the petroleum used in the US, on average, goes towards. And as though being the number one user of automobiles weren’t enough, Americans also have a fascination and desire to have large trucks and SUVs, which consume far more gas and oil than more sustainable cars. Even if the automobile was taken out of the overall picture, the rest of the world still couldn’t afford to live like the average American. For an American living on the east coast, there are usually no worries about water supply and running out of water never crosses most Americans minds. Showers are taken multiple times a day, cars are washed outside on peoples’ driveways, and the dishwasher is run daily in many households. Places like the Middle East and Africa could never live with such carelessness in regards to water, because if they were to do so their water supply would run dry in an instant. Electricity is another extravagant luxury that Americans tend to take advantage of. There are many countries in the world that still lack means of electricity, such as small rural places in Africa, while Americans use so much electricity on a daily basis that North America’s coal supply will run out within the next 50 years. Not only are Americans using so much electricity that they will run out of coal, but they resource itself requires much work and deterioration to the land to retrieve. Techniques such as strip mining and mountaintop removal help us acquire things like coal and other minerals, but the processes also destroy and devastate the land and the surrounding ecosystems; if the entire world farmed for minerals and fossil fuels like the United States, then most of the Earth’s pristine habitats and environments would cease to exist. When observing the overall population in North America, one would notice that the country is not one of the leaders in growth and numbers. This works in America’s advantage because if China, for example, were to having developing and residential areas like the United States, then the country would be covered in nothing but neighborhoods and residential zones. American households are larger and more spacious than that of other nations, with the growth of residential communities impacting ecological habitats and places like the Florida Everglades. Because Americans prefer more privacy and more space, homes are moving further out from bustling cities and into suburbs, creating a greater need for commuting and more destruction to ecosystems that once lay silently on the city’s outskirts. Many of these American habits and ways of life seem to be running on an endless track with no resolution anywhere in sight. Though there isn’t any means to an end for the United States in the near future, there are a few attempts and efforts to try and heal some of the wounds we have inflicted on the planet, like through energy-use and transportation. Any ideas and trials developed and tested now, however, are nothing more than a start to trying to modify and change our lifestyles to make Earth a better place for all of its inhabitants. Currently the United States only consumes between 7 and 8 percent of renewable energy resources. The sources utilized to obtain renewable energy in the US include solar, wind, hydroelectric, wave, and biofuel energy. Though the US has the funding to build more renewable energy resources, there aren’t nearly enough places that are contributing this sort of energy to the US’s total energy consumption. The reasons behind why the US doesn’t take more action towards utilizing more energy resources are things like a, currently, poor economical state, a divided government system, and the prodigal US lifestyle; all of these have led to a country that is fearful and hesitant about moving from a reliance on nonrenewable energy towards greener solutions. If the US were to shift to using nothing but renewable energy, then other countries would learn by our actions and the Earth and its resources would be more sustained and cleaner. There would no longer be the destruction of habitats for the collection of wood or coal; mountains would no longer be destroyed and rainforests would start to slowly be restored to their original state. This would benefit countless people not only for recreational use, but also for the natural cleansing of the Earth, since trees help store CO2 on a seasonal cycle. The creation of a greener engine for the automobile, and even a more sustainable source of fuel, would solve the problem of the overpopulation of vehicles used in the United States. If cars like the Hummer and the Ford Expedition ceased to exist on the roads, and were replaced with a breed of car that used less gas than today’s current Toyota Prius, then the amount of gasoline and petroleum needed would significantly decrease, leading to a decrease in CO2 emissions due to transportation. This would make the current numbers in car usage be less impacting on the planet, and would eventually lead to greener and more innovative technologies. Unfortunately for the United States, it is a large country with many smaller economies that it is divided into, making it difficult to develop decent transportation in terms of trains and high speed railways. This idea works in countries like France and Japan because they are smaller and the population can’t afford to use individual cars due to congestion. Therefore, the idea of developing railways that decrease the need for cars is still in the working and depends solely on the individual states need or desire to have one. When looking at habitat encroachment, the United States has very few restrictions stopping it from developing wherever it pleases, throwing once untouched and fragile environments, like the Everglades and rolling prairies, into dismay. If residential companies took the time to plan and develop a more efficient and sustainable neighborhood design, then encroachment and fragmentation wouldn’t be an issue. City developers must learn to design cities in a way that they are more effective and sufficient and so that there aren’t countless miles of outstretched suburbs on the city’s outskirts. Through modification and change, the United States can help shift the Earth’s status of health from one of constant decline to that of a thriving, and healthy planet. The United States and its citizens must become role models and set examples to parts of the world that are still in the developing phases. If places like Africa and China were to take a look at the US and develop their country and their peoples’ lifestyles based on our own, then Earth would no longer be able to sustain the human race and resources vital to life, such as food and freshwater, would run out. The United States, being a leader in world power, is one of the most influential nations and therefore needs to take action and responsibility as a leader, and its citizens need to break away from the desire to live materialistic and personal pleasure based lifestyles. US citizens are the backbone to the nation, and so the nation’s habits and downfalls fall solely onto the people as being responsible and unable to take action to change for the better. Citizens control the government and the state of the economy, as well as the state of our country’s environment. If the US people took action to change their lifestyles, to start preserving water rather than leaving the faucets running or taking long showers, to take the public bus once or twice a week instead of driving their car, or to shut off the a/c and other appliances when no one is home to save energy, then the US would already be a greener nation. Behaviors such as using reusable grocery bags, reusing plastic bottles, conserving water, and rebuilding habitats show that there is progress, even if it is small. United States citizens are privileged to be able to live a life without worry and to be able to use energy and water without much more than the care of monetary value. Other nations could only ever dream to live in such a way. It is one thing to know and to prove that if the rest of the world were to live like the average American that resources would shortly run out and that the planet would no longer be able to sustain life, but it is another to know that if the United States moved towards a greener lifestyle, that other countries would be able to benefit from it as well, through both a cleaner planet and a learning example. And although the United States isn’t changing on a drastic scale, time is slowly starting to reveal the Americans can modify their lifestyles to be more sustainable and better for the planet.